Scoop of peach pie ice cream. Photo by Gabriela Campos / Santa Fe New Mexican. While the downtown La Lecheria is starting off slow with just coffee, pastries from local bakery American Pie and bespoke ice cream, later this week, it will will begin to roll out lunch items. As befits a small space, it will offer just a few things at a time, with room to grow, filling a desperate need for quick, inexpensive lunch options downtown.
" 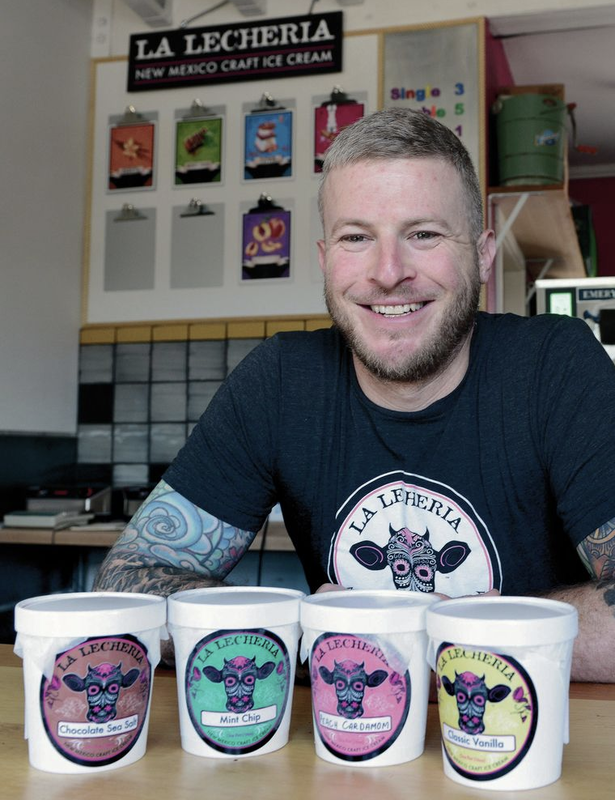 La Lecheria is another newcomer, specializing in artisan ice cream; try locally inspired flavors such as green chile. " "New Mexicans have had a valuable weapon against the heat ever since [La Lecheria opened]. Well, hold that thought -- this being New Mexico, you better believe there are chilis occasionally involved, as brown sugar red chili and (of course) green chile both figure into the seasonal flavor rotation alongside menu stalwarts like sea salt chocolate. So it’s possible your palate will be feeling a little heat, but it’ll be so blissfully pleased you won’t mind a bit." "Chef Joel Coleman of Santa Fe restaurant Fire & Hops specializes in stabilizer - and preservative-free exotic flavors, like miso brown sugar. This season, look out for the banana leaf candy ginger, which combines some of our favorite Asian flavors into a perfectly balanced scoop."